Market Match is offered at farmers’ markets, and other direct marketing outlets, statewide through a robust network of partner organizations, called the California Market Match Consortium or CMMC. In 2017, this group included 47 farmers’ market operators and community-based organizations, in 34 counties, across the state. 2018 is the California Market Match Consortium’s 9th year. The Ecology Center coordinates this unique, collaborative program. If you are interested in becoming a partner and offering Market Match at your market, visit our New Partner Application page. The deadline for submission has closed but there is information available for future reference. Click on the logos below to read more information about this diverse group of committed Market Match partners. Agricultural Institute of Marin (AIM) promotes a viable food system, educates the public about the benefits of buying fresh and locally grown food, and brings farmers and communities together. Agriculture and Land-Based Training Association (ALBA) works with small specialty crop farmers and farmers' markets in Monterey, San Benito and Santa Cruz counties to advance the economic viability and social equity of the project. Alchemist Community Development Corporation (CDC) is dedicated to nurturing and strengthening the ability of Sacramento residents to shape the future of their neighborhoods and benefit equitably from development. Center for Urban Education about Sustainable Agriculture (CUESA) is dedicated to cultivating a healthy food system through the operation of the Ferry Plaza Farmers Market and its educational programs. They work to educate urban consumers about sustainable agriculture and to create links between urban dwellers and local farmers. Coastside Farmers’ Markets operates two markets on the Central Coast in San Mateo County in Pacifica and Half Moon Bay. Downtown Santa Ana Farmers' Market (DTSA) is a community-oriented, chef-driven Certified Farmers' Market that operates year-round in downtown Santa Ana. Ecology Center Farmers’ Markets has run the Berkeley farmers' markets since 1987. They currently operate three markets per week year-round. Fresh Approach encourages healthier children, families and communities through community education, innovative programming and novel partnerships that promote a stronger local food system and better-informed choices about food and nutrition. They partner with PCFMA to offer Market Match in counties throughout the Bay Area. Fresno County Economic Opportunities Commission (EOC) works with farmers' markets in Fresno County, focusing all available resources to empower low-income families and individuals working toward food security and self-sufficiency. Heart of the City Farmers Market (HOC) is San Francisco’s only independent, farmer operated, nonprofit farmers market. Located at the United Nations Plaza on Wednesdays and Sundays, it was created in 1981 to support and sustain California's small-scale growers, help make produce accessible for San Francisco's low-income Tenderloin neighborhood, and lead nutrition education outreach to create a healthy Heart of the City. It has the largest farmers market EBT program in California with over $250,000 in annual EBT sales. Hunger Action Los Angeles (HALA) works with farmers' markets that serve Los Angeles County to end hunger and promote healthy eating through community education, outreach, networking and empowering low-income people to speak on issues that affect their lives directly. 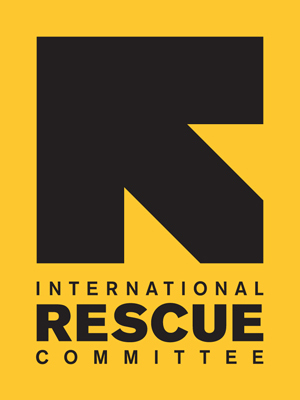 International Rescue Committee (IRC) helps those whose lives and livelihoods are shattered by conflict and disaster to survive, recover, and gain control of their future. In San Diego, the IRC assists refugees and low income people to develop the skills and access resources to become financially self-reliant members of our community though education, employment, business startup assistance, food+farming programs, and immigration services. The Mt. Shasta Farmers' Market has been in operation since 1999. The market runs from May through October each season and is located conveniently in downtown Mt. Shasta. Laytonville Farmers' Market operates year-round in Mendocino county. North Coast Growers Association’s (NCGA) staff and members represent agricultural interests in Humboldt County through community partnerships that promote local and healthy foods, programs that increase access to local food, participation in local and statewide policy-making, and coordination of daily operations for the organization and five Certified Farmers' Markets. North Coast Opportuntities Inc. contributes to the welfare of their northern California community by building and supporting programs that benefit families and individuals. They are partnering with the Ukiah farmers’ market in Mendocino County to operate Market Match. Pacific Coast Farmers’ Market Association (PCFMA) operates community-supported certified farmers’ markets in Santa Clara, Contra Costa, Solano, and Alameda counties that provide viable economic opportunities for California farmers, local access to farm fresh products, and education concerning food, nutrition and sustainability of California agriculture. Palm Springs Cultural Center Certified Farmers' Markets operates three farmers' markets from October to May in Palm Springs and La Quinta. 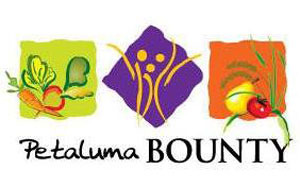 Petaluma Bounty (a project of Petaluma People Services Center) is a community-based nonprofit that is helping folks to grow their own healthy food, redistributes surplus food, and provides affordable fresh food to low-income families and seniors. Phat Beets Produce creates a healthier, more equitable food system in North Oakland by providing affordable access to fresh produce, facilitating youth leadership in health and nutrition education, and connecting small farmers to urban communities via the creation of farm stands, farmers’ markets, and urban youth market gardens. 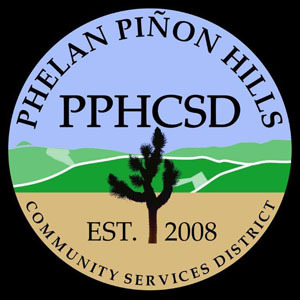 Phelan Certified Farmers' Market operates year round in Phelan, California. Roots of Change founded the Market Match program in 2009. They continue to support the program through advocacy and promotion. The People's Mountain Market operates in the small rural community of Garden Valley. Their market allows local farmers, producers, and artisans can offer direct access of fresh agricultural and related products to consumers, generating pride and a celebration of rural living. The market takes place seasonally every Saturday morning from nine until noon at Garden Valley Park in Garden Valley. 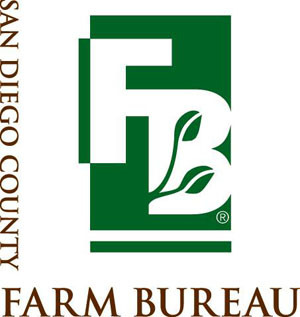 San Diego County Farm Bureau is the leading advocate for the farm community and works with elected officials, government agencies, educators, the public, and the media. Social Justice Learning Institue is dedicated to improving the education, health, and well being of youth and communities of color by empowering them to enact social change through research, training, and community mobilization. Sustainable Economic Enterprises of Los Angeles (SEE-LA) operates and establishes certified farmers markets in the Los Angeles area, and promotes self-sustaining community and economic development activities, including sustainable food systems. 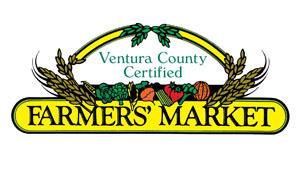 Ventura County Certified Farmers' Markets is a not-for-profit farmers’ cooperative and operates five weekly farmers’ markets in Ventura, Thousand Oaks, Santa Clarita, and Pleasant Valley/Camarillo. 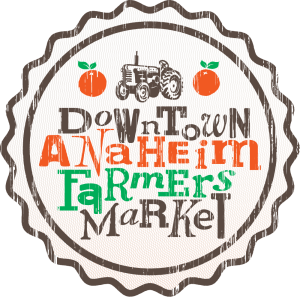 The Downtown Anaheim Certified Farmers’ Market is located at Lemon Street and Center Street Promenade in newly revitalized Downtown Anaheim. This certified farmers’ market, based in the “heart of Anaheim,” is a great way for neighbors to connect and shop local. North County Farmers' Market Association operates four certified farmers' markets in northern San Luis Obispo County. 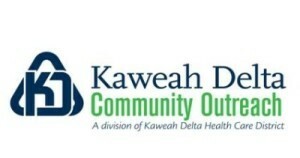 Kaweah Delta Healthcare District develops new partnerships to enhance the education, awareness and prevention activities it conducts, with six areas of focus: Diabetes Outreach, The Bridge, USC Mobile Dental Clinic, Bi-National Health Week and the Samaritan Center. The Kaweah Delta Healthcare District offers Market Match at the Downtown Dinuba Certified Farmers' Market. Collective Roots seeks to foster more communal growing, sharing, and eating of fresh, local produce. Through programs like the Backyard Gardener Network and weekly East Palo Alto Community Farmers' Market, they work side-by-side with East Palo Alto to cultivate a healthier, stronger, and more connected community by building a more robust local food system. Urban Village was formed 1997 to provide the best possible opportunity for farmers, food vendors, and community members to preserve, enhance, and enjoy regional fresh quality foods. Urban Village offers Market Match at six of their farmers' markets in the San Francisco Bay Area. Modesto Certified Farmers' Market began in 1979 to bring fresh produce to the community. The Modesto Certified Farmer's Market is located on 16th Street between H Street and I Streets, along side of the Stanislaus County Library in downtown Modesto. Model Neighborhood Program is a non-profit neighborhood improvement organization dedicated to vitalizing the community by providing direct support through its Certified Farmers’ Markets and nutrition programs, along with supportive resources to the area’s neighborhood groups and residents. MNP offers Market Match at the La Cienega Farmers' Market and the Kaiser West LA Farmers' Market in Los Angeles. 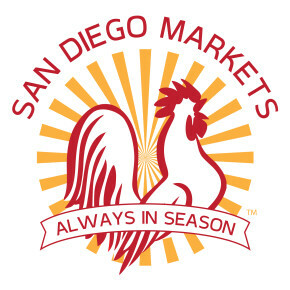 SD Weekly Markets brings farmers’ markets to the city and people to the table in San Diego with three weekly farmers' markets, all of which offer Market Match. Community Services Unlimited operates the Village Marketplace in South Los Angles. The affordable produce comes from CSU’s urban mini-farms and local farmers and is beyond organic. The Marketplace increases access to healthy foods in the community while creating meaningful jobs for youth and adults. A Better Course focuses on improving access to healthy foods through public programs such as school meals, SNAP/ CalFresh, and making that food safer by advocating to improve transparency in our food system regarding allergens, pesticides and GMOs. ABC offers Market Match at the Alemany Farmers’ Market in San Francisco, every Saturday. City of Redlands operates two markets that provide local farmers the opportunity to sell their crops directly to the consumer. They offer Market Match at the Saturday Morning Farmers’ Market and the Thursday Market Night Farmers’ Market. CSU Chico Center for Healthy Communities values and helps create healthy and livable communities. The CCFM brings fresh quality locally grown food, and handmade artisan products to Northern California communities at our markets in Chico, Oroville, and Paradise. Downtown Divas are a grassroots, nonprofit organization, sharing a vision about the Crescent City Downtown. We are committed to building a positive force by promoting our Downtown as a vibrant destination for residents and visitors to gather, shop, work and enjoy. Fairfield CFM is operated by the Fairfield Main Street Association. Their mission is to inspire and nurture a healthy community by building a local, sustainable and organic food economy in a vibrant experiential marketplace. Orange Home Grown is a non-profit organization that runs and manages the Saturday Farmers and Artisans Market in the heart of Old Towne Orange. The Farmers Market is open rain-or-shine every Saturday from 9am to 1pm on the parking lot of Chapman University’s Becket Building Featuring farmers & food artisans offering locally grown fruits & vegetables, sustainably sourced eggs, meat, seafood, cheese, baked goods & other artisan products. Riverside Food System Alliance is a public-private partnership with members from the community, government, and businesses. The collaborative includes farmers, community gardeners, restaurateurs, food co-ops, health and hunger organizations, Riverside’s Economic Development Department, health and ag agencies, individuals, and more. Rural Human Services operates the Crescent City Farmers’ Market on Saturdays at the Del Norte County Fairgrounds. The market celebrates the summer harvest of fruits and vegetables at their freshest, as well as plants, eggs, baked goods, and products handcrafted by local artisans. Santa Barbara Certified Farmers' Markets is a non-profit mutual benefit corporation that was founded in 1983 to provide California farmers with direct access at landmark locations to market their agricultural products directly to the local community. They currently run a total of six farmers markets in the Santa Barbara area. El Dorado County Farm Trails is an association of over 120 members who operate farms, ranches, and other related enterprises. Their mission is to foster and promote the preservation of small farms, preserve the rural atmosphere of the county, and promote public awareness of local fruits, vegetables, and other products. They can be found at the Main Street Farmers' Market in Downtown Placerville on Wednesday nights. Heritage Farmers' Markets are committed to promoting health, wellness, and wholeness. 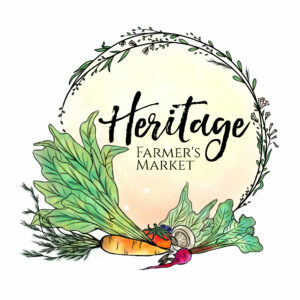 As part of The Heritage Education Group's health initiative, it is their goal to bring fresh produce, local artisans, and community activities to various neighborhoods to promote healthy eating and active living. They offer Market Match at three of their farmers' markets in San Bernardino County. 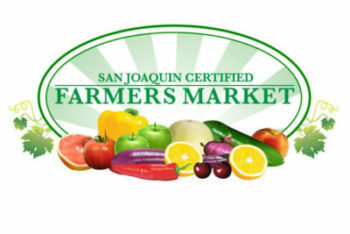 San Joaquin Certified Farmers' Markets help provide their community with farm fresh fruits and vegetables and support an outlet for local artisans and food vendors. They are constantly looking for ways to improve their farmers' markets and continue growing to their fullest potential. They run three farmers' markets in San Joaquin County. 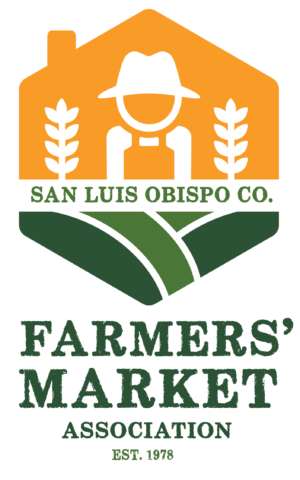 San Luis Obispo County Farmers’ Market Association (SLOFMA) is a mutual benefit, not-for-profit corporation. As a mutual benefit organization, they serve two groups by providing several market places for family owned and operated farms, and offer fresh quality products directly to consumers. Currently, SLOFMA offers Market Match at the Arroyo Grande Wednesday and the SLO Thursday farmers' markets.